I imagine many Christians can increase their knowledge of the Minor Prophets. Here’s a survey of the eighth book of the Minor Prophets: Habakkuk. Purpose: We will look at the authorship, purpose, structure and other aspects of the book of Habakkuk so we would be more familiar with this part of the Bible and yearn to study it for ourselves. Here’s a sample of what I’m preparing to teach overseas in the Spring. What follows below is a survey of the book of Daniel. Review: Is Jesus in the Old Testament? Iain Duguid. Is Jesus in the Old Testament? Phillipsburg, NJ: Presbyterian and Reformed Publishing, February 4, 2013. 40 pp. I really enjoyed this booklet that is a part of the Basics of the Faith series printed by Presbyterian and Reformed Publishing. This is the sixth booklet that I read from the series and I read it along with my wife as our couple’s devotional reading together. I was blessed by this beyond my expectation in comparison to the other booklets in the series I have read thus far. Bible Contradiction? Was Zechariah Iddo’s son or grandson? For more of our posts responding to alleged Bible contradictions check out our Collection of Posts Responding to Bible Contradictions. 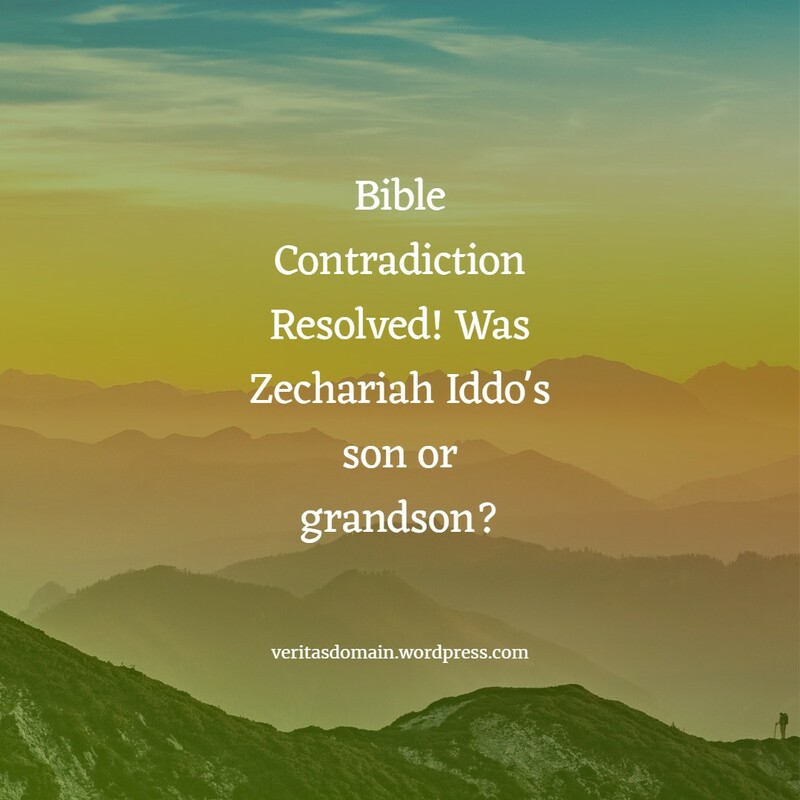 For today’s post we will tackle the question the Skeptic Annotated Bible asked: Was Zechariah Iddo’s son or grandson?